Halloween is days away and while other people will be out trick-or-treating or heading to Halloween parties dressed as their favorite character, we’re going to curl up with a hot cup of cocoa and read some seriously spooky books. If you delight in fright as much as we do, these five hot new releases include everything from mystery and suspense to zombies and vampires. What more could you ask for this Halloween?! Heat Index: In this haunting tale of mistaken identity, Alice suffers the consequences of her twin sister, Cellie’s, actions, unfolding years of secrets. When Alice’s boyfriend is killed in a fire that Cellie set, Alice is fingered as the culprit and committed to Savage Isle mental institution. It’s there that she begins to write down her past as she remembers it. Did Cellie really kill Alice’s boyfriend? What doesn’t Alice know? All is revealed in this thrilling debut from Emiko Jean. Heat Index: This book of 20 tales brings together horror’s best voices, including Scott Smith, Charlaine Harris and Kelley Armstrong. Here vampires come alive again. Thanks to these stories of terror, edited by Christopher Golden, you may end up leaving the lights on for the next few nights. 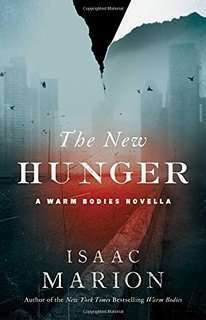 Heat Index: In this Warm Bodies novella from the Isaac Marion, Julie is only 12 years old and traveling with her parents across America. Nora has just become her brother’s sole guardian and “R” has come back to life in the middle of a forest. Who is he and what has he become? All questions are answered in this exciting new prequel. Heat Index: Inspector Akyl Borubaev’s wife has just died and in order to forget about the pain he immerses himself in the mystery of a young woman who was found murdered and severely mutilated. When ties to the military are revealed, Borubaev becomes public enemy #1. Set in the Central Asian republic of Kyrgyzstan, this chilling debut will give you goosebumps and you’ll want to read it cover to cover. Heat Index: Jack Reacher is mistaken for Michelle Chang’s missing partner in a small town called Mother’s Rest. When he agrees to help Chang get to the bottom of her partner’s disappearance, he finds that all is not as it seems. As he scours the country looking for clues, he’s soon led back to the town where it all started wondering how it was that Mother’s Rest got the name in the first place. The tight-lipped residents aren’t willing to help, but in Jack Reacher’s world, walking away is not an option. Make Me is the latest in this thrilling series from Child.